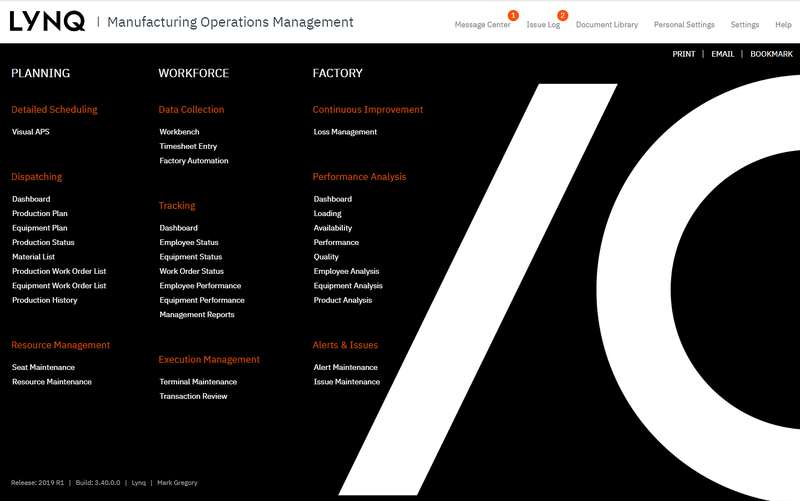 Formed around international standard IEC62264, LYNQ’s leading-edge manufacturing operations management solution can plan, track, automate, analyse and optimise factories to increase efficiency, productivity and profitability. 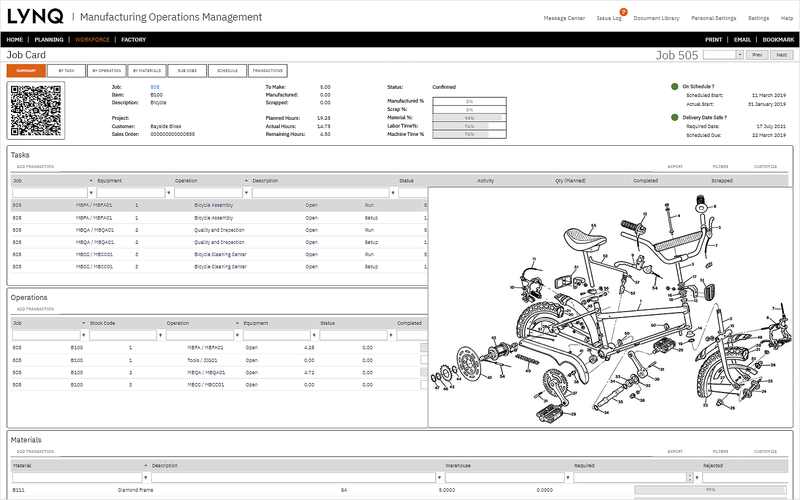 Use LYNQ's powerful, Advanced Planning and Scheduling (APS) client to minimise downtime while considering constraints from machines, tooling, personnel and inventory, to make smarter use of your materials and resources. 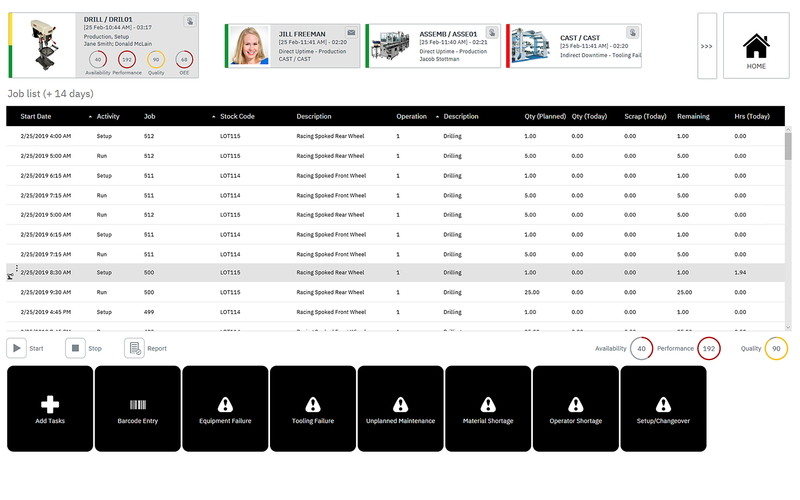 Publish schedules to the shop floor that can be viewed on any device from anywhere. 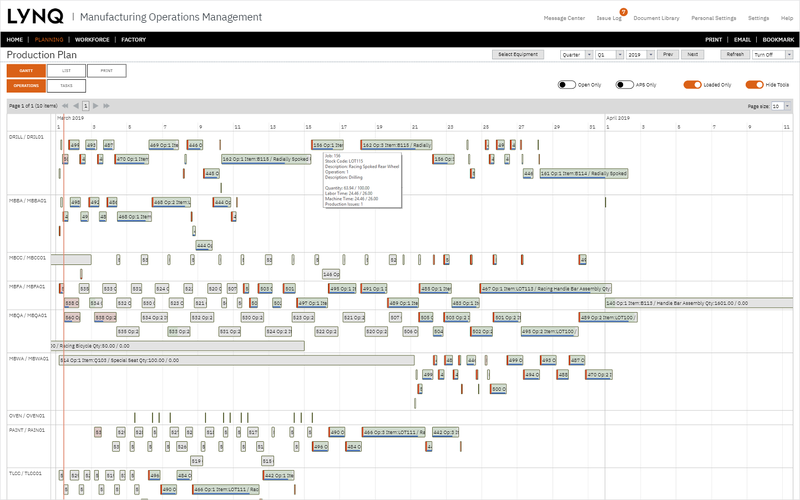 See job and operational progress in real time at a glance. 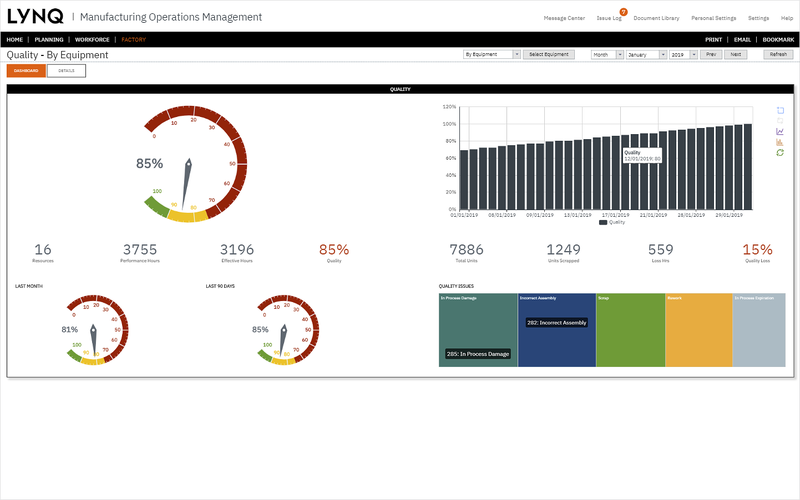 Use simple dashboards to understand your load and maximise order fulfilment. 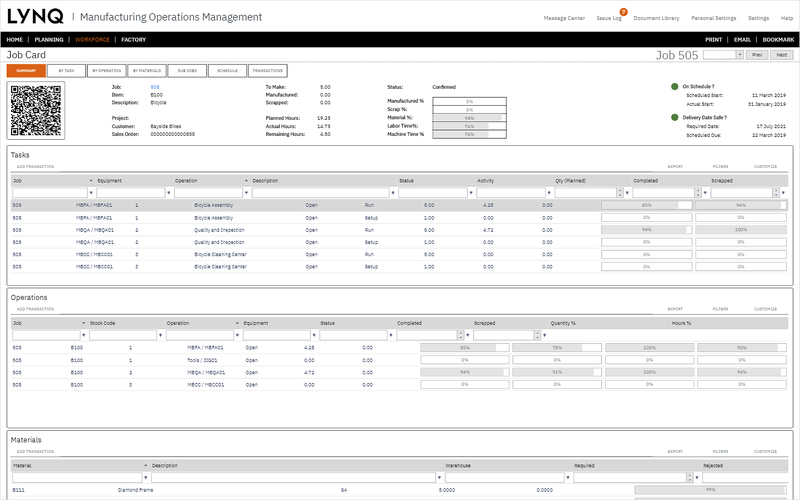 Provide your workforce with interactive job lists to drive efficiency and adherence to plan. 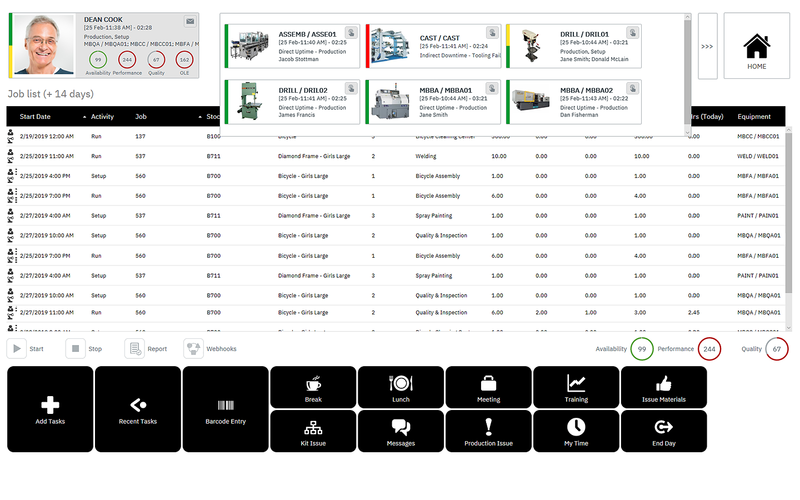 Collect data from the shop floor easily and accurately from your employees and machines. 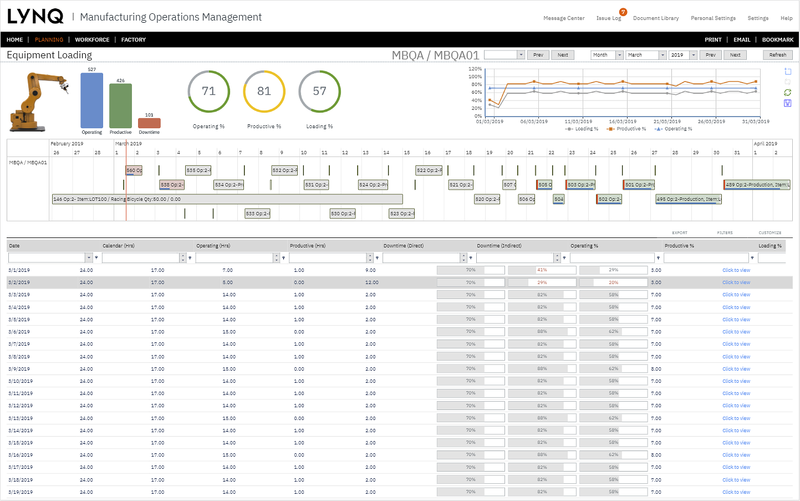 Track availability, performance and quality at a click of a button for OLE and OEE analysis. Use employee status screens to effectively manage your workforce to maximise their productivity. 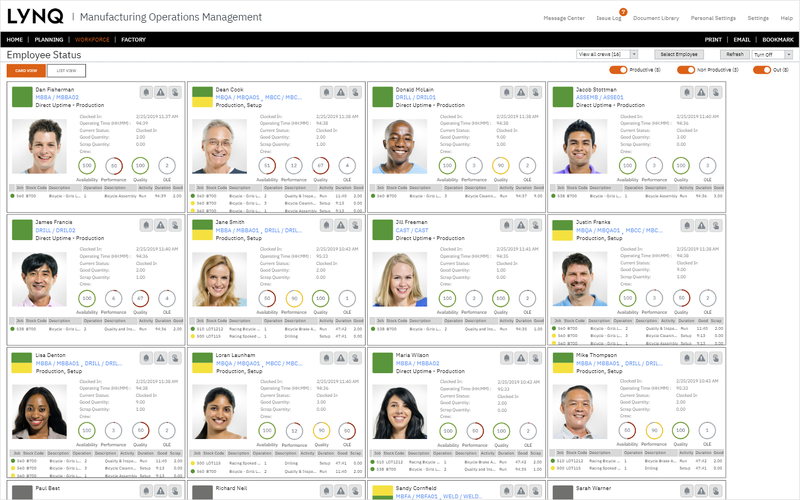 See how your employees are performing in real-time and resolve issues before they become a problem. 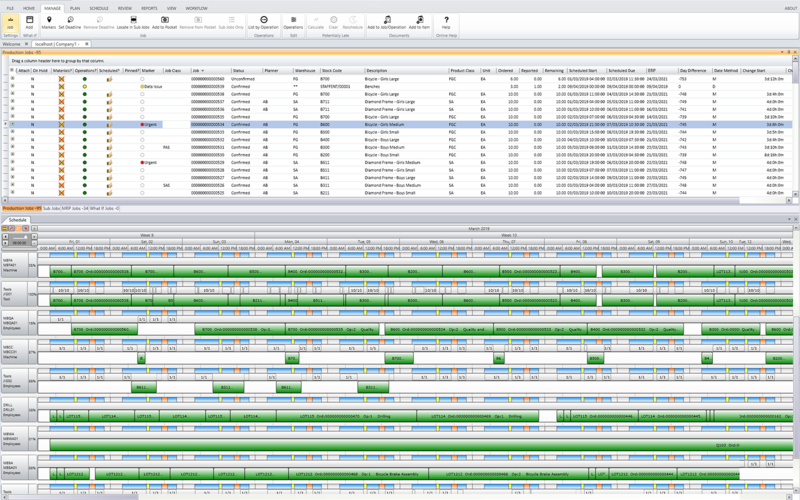 Use job status reports to provide visibility of progress. 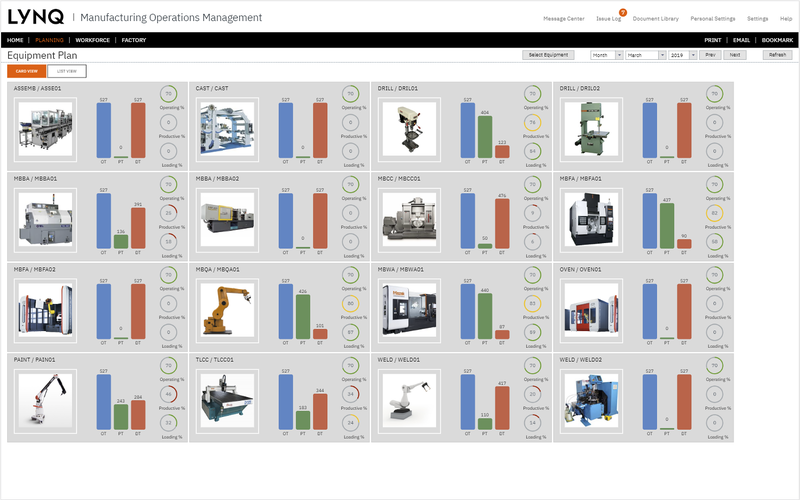 Collect data automatically from over 140 industrial devices and use equipment status screens to effectively manage your workforce to maximise their productivity. 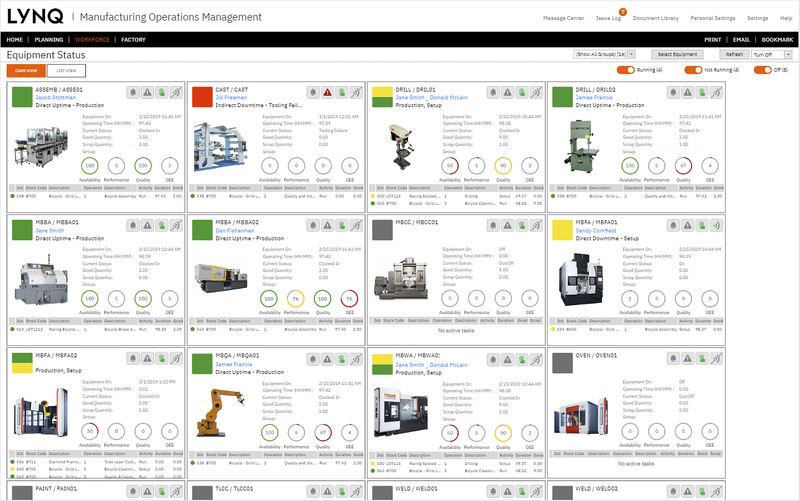 See how resources are being used with visibility of operating, productive and downtime at a glance. 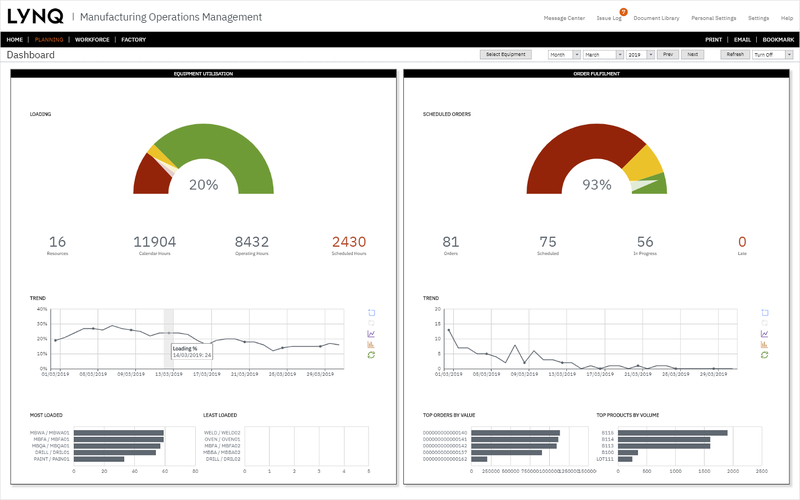 See how your equipment is performing in real-time and resolve issues before they become a problem. 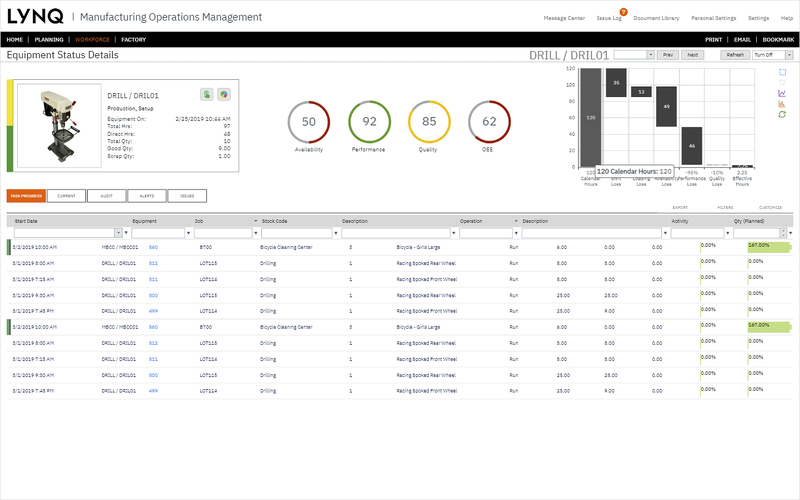 Open the loss management dashboard to gain complete visibility of all your losses across the factory and use powerful drilldowns to get to the root cause to apply countermeasures. Loss for each of your employees and equipment is then aggregated at factory level. 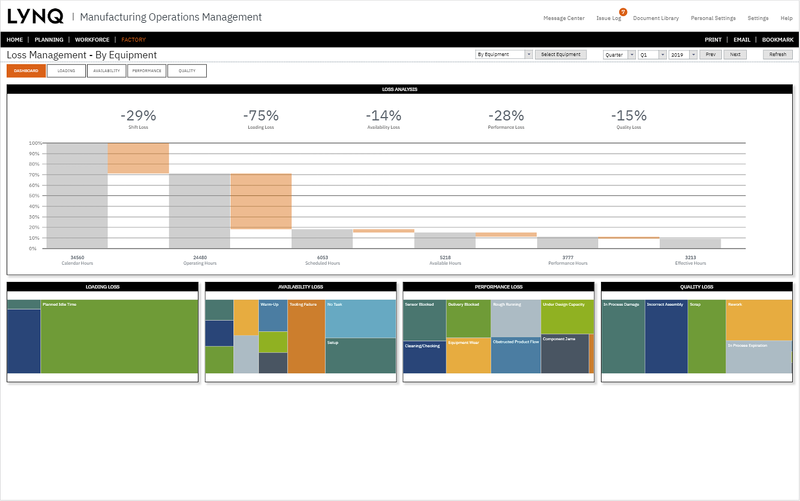 Use powerful management reports to drive your performance to world class standards. 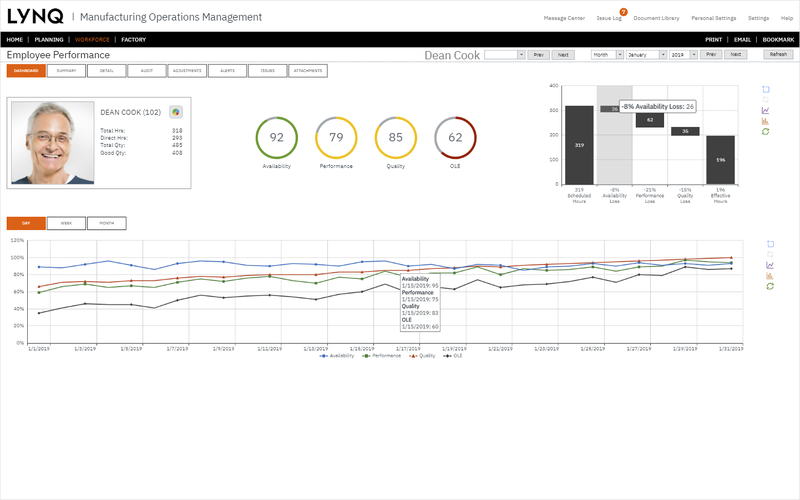 Drive continuous improvement with management alerts, collaborative messaging and online documentation.